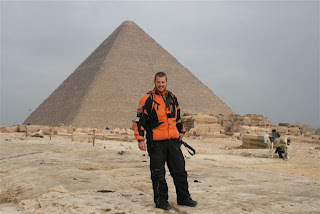 Last photo taken before we head of for the North coast of Egypt, on our way to Libya. The Dreaded Libya. Although it is a let down that they were soo terrible to you at the Libyan Border, we are all quite relieved that you don't have to cross that horrid country now. Every thing happens for a reason, and perhaps this is just a blessing in disguise! Look what's happening in Kenya now, at least you crossed before all the nonsense started and perhaps someone up above was looking out for you by not letting you into Libya. Look after yourselves! We can't wait to see you soon!